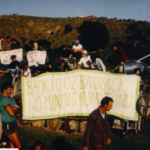 Karangahake tells New Talisman – don’t mine our mountain! To support future action make sure CLAIM has your number – claimcoromandel@gmail.com or 02210274114 See our media release here. Media Release – 31-10-2013 See TV3 footage here. 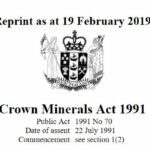 Coromandel residents, CLAIM and Coromandel Watchdog blocked mining activities in the Coromandel Harbour yesterday to protect Schedule Four and the prospectors have not turned up to work today. “Today we gathered at the site but they seem to have left the area,” said Coromandel Watchdog Coordinator Renee Annan….